Weather just about held out today, although the wind did cause some issues. 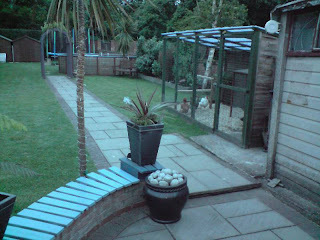 The patio and path have now been weeded, seating had a quick coat of saint, and the chickens got a new perch. We also did a little bit of pruning and tried to tidy the front up a bit, but the bits from the bush we cut where being blown all over the place!